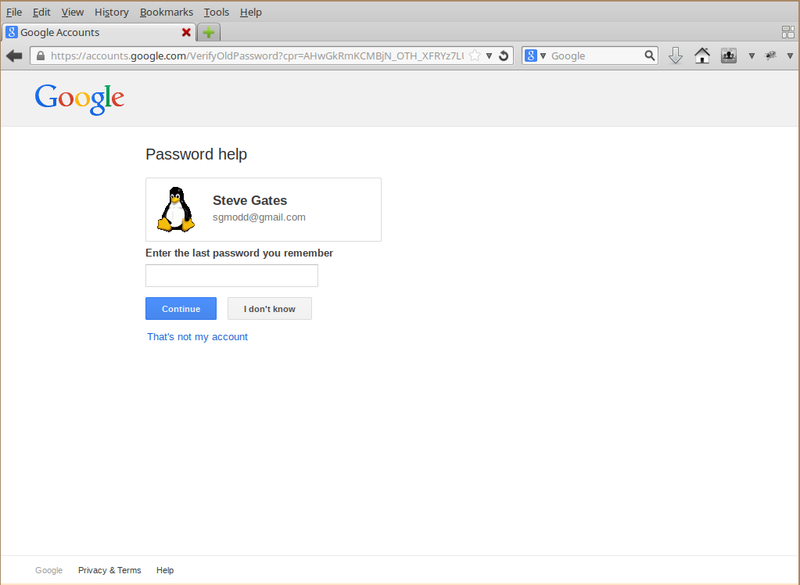 On selecting "I don't know my password", you are prompted to enter the email address associated with your Google account. On entering the email address, you are presented with varying levels of information, depending on the amount of information provided to Google by the account holder. Worst affected are Google Plus users, since both the profile photos and the names of the users are leaked in their case. Note: The information shown in the image above belongs to a pseudo profile created for testing purposes. As you can see above, I was presented with the profile photo and the name associated with my Google account, even though I had unchecked "Help others discover my profile in search results", in Google Plus profile settings. If you do not have a Google Plus account, then only the name associated with an account is displayed. For some addresses — presumably the ones without a Google Plus profile and without any given name — no information is leaked. I reported this to the Google security team last month, but they claimed that this works as intended. If that is indeed the case, then in my opinion, it is a serious flaw in how they treat private information. I believe that simply by using an email address (which can be obtained from any number of sources, what with the regular account dumps posted online — belonging to hacked websites), such personally identifiable information should not be disclosed.